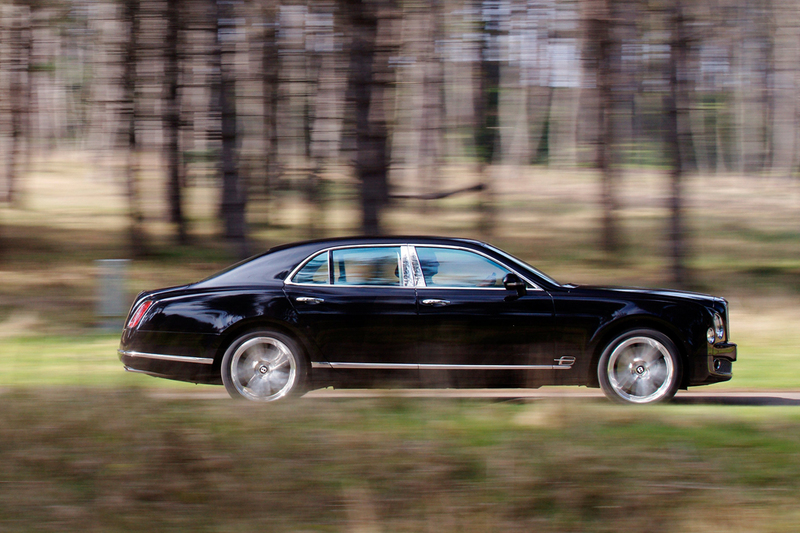 Bentley’s Mulsanne debuted for 2011 as this British brand’s flagship car. With an overall length of 219.5 inches, the Mulsanne was almost a foot longer than the Bentley Continental Flying Spur sedan. 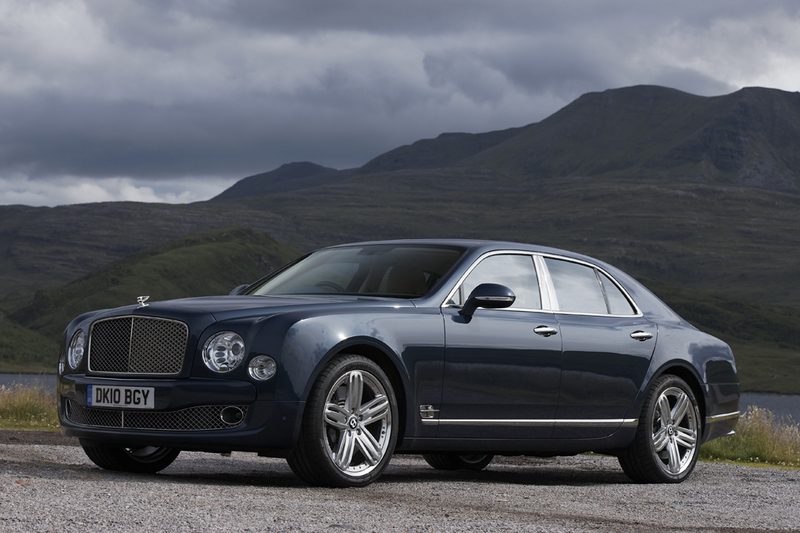 Mulsanne’s platform was not shared by other Bentleys, or any cars from parent-company Volkswagen. Power was provided by a 505-horsepower, 6.75-liter twin-turbocharged, overhead-valve V8. This was the same size and layout as the engine used previously in top sedans (a powerplant that dated back to 1959). 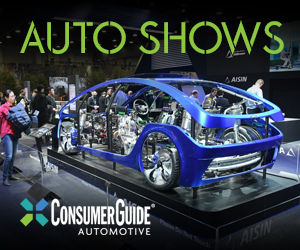 However, this re-engineered motor incorporated cylinder deactivation for better fuel economy while cruising. All Mulsannes had an eight-speed automatic transmission with steering-column-mounted shift paddles. Mulsannes also featured a load-leveling air suspension with automatic and driver-adjustable damper settings. 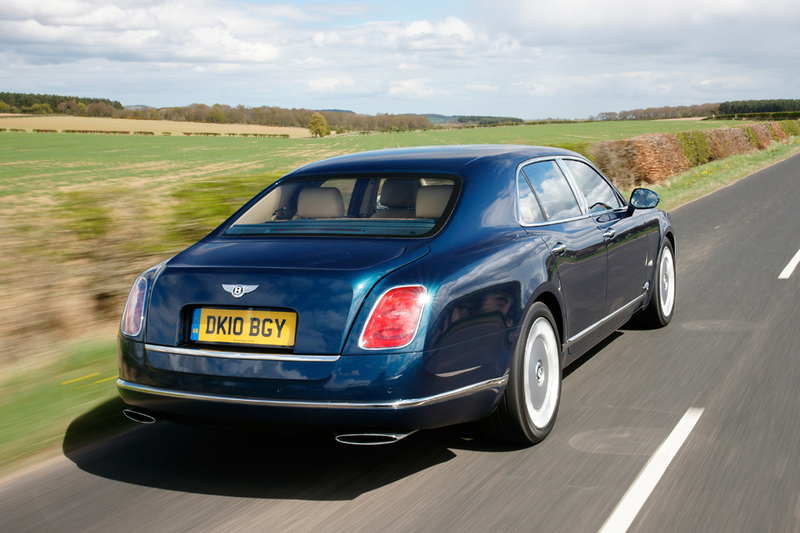 Bentley claimed 0-60 mph acceleration in 5.1 seconds, for a car weighing close to three tons. 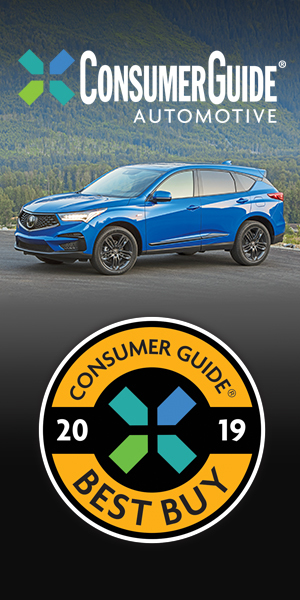 Safety features included antilock braking, traction control, an antiskid system, front-side airbags, and curtain-side airbags. A navigation system, wood and leather interior trim, eight-way power rear seats, four-zone air conditioning, bi-xenon headlights, and 20-inch alloy wheels were standard. Ventilated/massaging front and rear seats, rear picnic tables, a Naim-brand sound system, and 21-inch alloy wheels were optional. 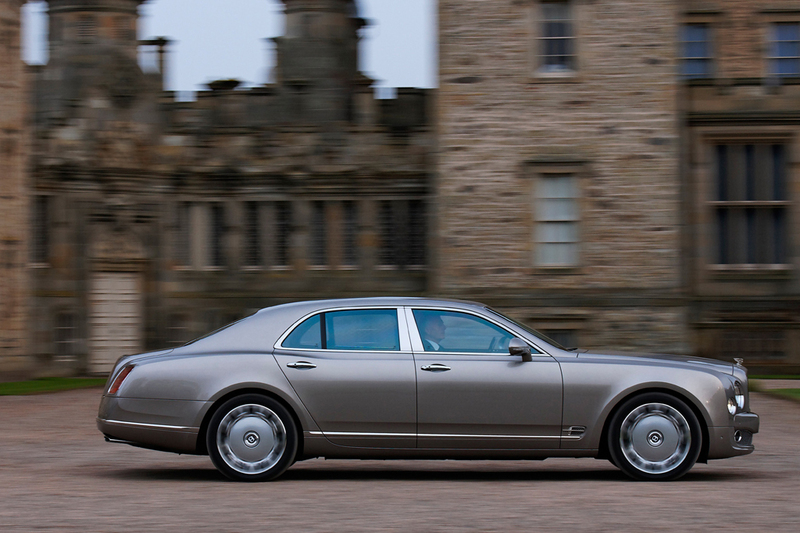 For decades, Bentley and Rolls-Royce had been corporate mates, reigning jointly at the pinnacle of British motorcars. Bentley was generally considered the sportier (and less costly) member of the pair. In 2003, the two companies split: Bentley wound up as part of the Volkswagen, while Rolls-Royce went to BMW. A sunroof and a bespoke bottle cooler became optional for 2012. 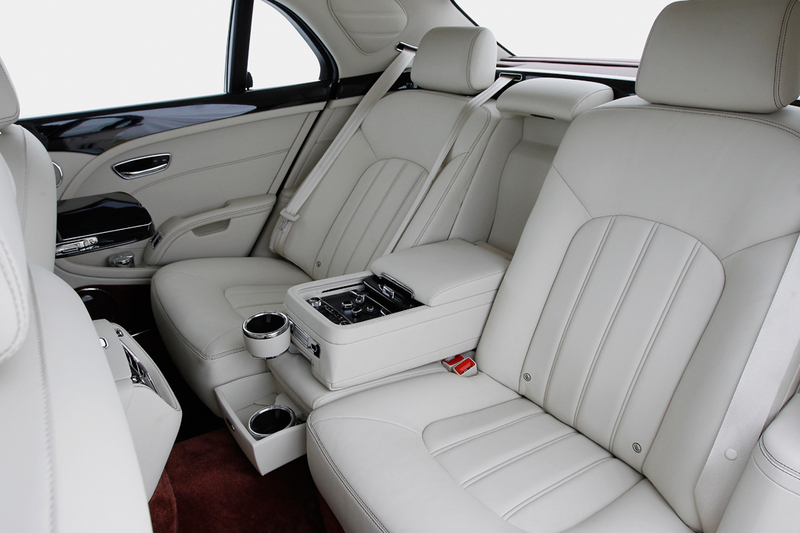 At the 2012 New York Auto Show, Bentley unveiled a Mulsanne Mulliner Driving Specification sedan, billed as a “sporting interpretation” of the company’s flagship model. Bentley’s turbocharged, 6.75-liter V8 engine developed 505 horsepower, along with a mighty 752 pound-feet of torque, mating with an eight-speed automatic transmission. 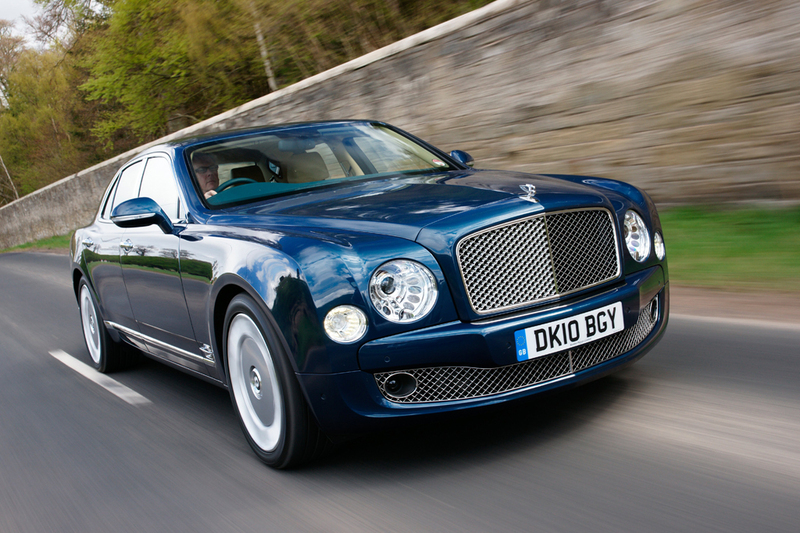 No Bentley Mulsanne models have been made available for Consumer Guide evaluation. Ventilated/massaging front and rear seats, rearview camera, valet key, veneered iPod drawer, veneered rear picnic tables, ambient interior lighting, unique interior and exterior trim, hood ornament, jewel fuel filler cap, compact spare tire, polished alloy wheels. Requires stainless steel matrix lower bumper and grille vents.